Saudi Arabia travel was once limited to ‘Hajj pilgrimages’ but now the largest nation of the Arabian Peninsula has thrown open its gates to world-wide travelers. Although not everyone is allowed entrance to the sacred cities of Mecca and Medina (excepting the followers of Islamic faith), you can take a peek into the region’s ancient past by visiting World Heritage Sites like Mada’in Saleh and other pre-Islamic sites. Saudi Arabia’s topography is very attractive – there is the sand-filled ‘Empty Quarter’ of the desert, the thickly inhabited oases, mountain ranges, plateau regions, coastlines and even coral reefs. The land of the Ibex and the Oryx, a bastion of the Bedouins (they live in the desert-lands) and rich Islamic culture, Saudi Arabia is a fantastic world with so much to see and do. What’s more, Saudi Arabian tourism has the support of efficient political, legal and financial systems! Since the state is dictated by Islamic laws and regulations, your discerning attitude will help you enjoy Saudi Arabia travel to the hilt. Riyadh: Riyadh, the capital city of Saudi Arabia, is the ideal representation of the Saudi-dream of achieving modernity without abandoning its rich cultural heritage and traditions. Hence, you see modern-structures like the Kingdom Center, Al Faisaliyah Center in Riyadh side by side historical sites like the Al Masmak Castle. Riyadh has many parks, gardens, museums and giant shopping malls. Riyadh promises some of the finest dining-out and nightlife experiences. 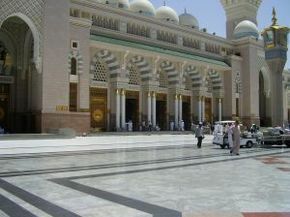 Jeddah: Jeddah, the second-largest city of the Saudi-nation, is the entrance to the holy cities of Mecca and Medina but the city has more to it. With its many beaches, resorts and the lures of water-sports/activities, Jeddah is favored by leisure-seekers as well as adventurous spirits. A visit to the Al-Balad area, with its multi-storied buildings like the Naseeh House gives you a glimpse of the city’s rich past. Jeddah-sightseeing also includes visiting attractions like King Fahd Fountain, Floating Mosque and Jeddah’s famous museums. With its traditional souqs and upscale shopping centers, Jeddah is a shopper’s paradise. Al Khobar: Al Khobar, the commercial city of the Saudi Eastern Province, is a tourist hotspot with multiple attractions. The highlight of Al Khobar tourism is King Fahd Coastal Town, but the city also boasts of some spectacular beaches and lush parks and gardens. Al Khobar’s modern shopping malls and supermarkets make shopping a delight. The city houses the largest mall of Saudi Arabia – the Al Rashid Mall. A petroleum-rich country, Saudi Arabia is among the fastest-developing economies of the world. World’s leading exporter of petroleum, Saudi Arab’s 90% export-earnings come from petroleum, which again is the highest contributor of the economy. Attempts are to reduce this reliance on the oil/petroleum by diversifying the economy. The lack of arable land and shortage of water make success in agriculture nearly impossible and so the focus is on industrialization – on the creation of successful petrochemical industry, tourism industry, financial and knowledge-based services; privatization of sectors is also on the agenda. Riding on the success of its oil-based economy, Saudi Arabia assures people a high standard of living with high per capita income, adequate infrastructure as well as health and education facilities. An energy super-power, Saudi Arabia has a developed (privatized) telecommunications sector. Saudi Arabia’s culture has a pronounced Islamic influence and this shows in the way the people lead their lives, in the dressing and eating habits, in their literature, visual and performing arts as well as their recreations. People offer prayers five times every day and observe Islamic festivals and rituals with great piety. They dress modestly, with men wearing ankle-length garments and even covering their heads with cotton-scarves; women dress more conservatively and their eyes are the only body-parts visible to others. The food and food-habits are also dictated by Islam; hence, the Saudi people do not touch alcoholic drinks and pork. Despite this, Saudi Arabian cuisine is quite palatable. Saudi music and dance forms reveal Bedouin-influence apart from Islamic-elements. Cinemas and public theaters are banned in Saudi Arabia.